I’m very new to the pressure cooker game. Yes, I know, late again. I had no idea how easy they are to use! When I’d see Instant Pot recipes on Pinterest I’d just shake my head and move on. Now I search for them. I didn’t even know that Instant Pot was a brand name. It’s not the brand I use. I use my Mealthy Multi-Pot, and I love it! Both brands are pressure cookers. One is made in Canada and the other in the United States. As I’m new to this whole thing, I’m still learning how to make things come out correctly. 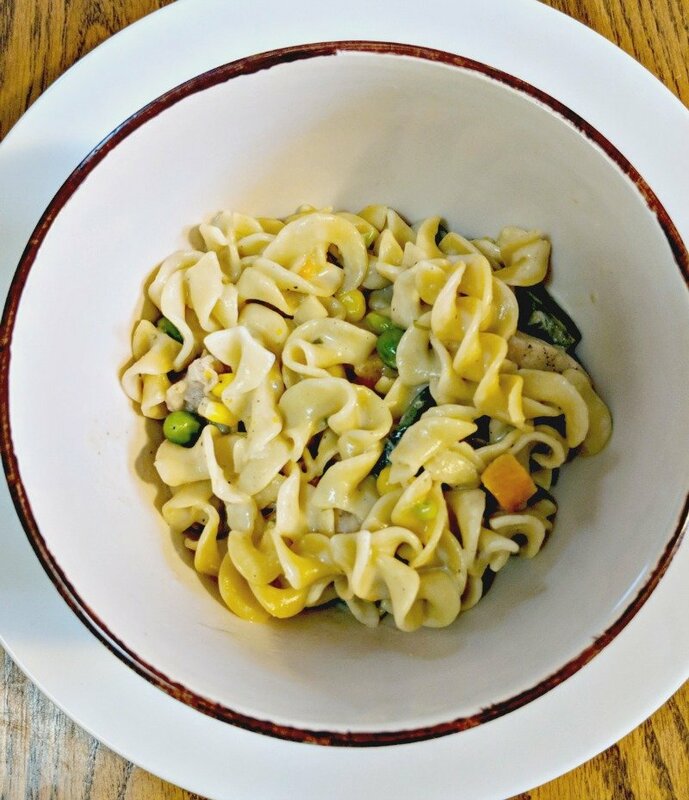 This creamy chicken and noodles pressure cooker recipe is an example of how the whole learning thing works. I found a recipe on Pinterest from Adventures from a Nurse that looked good. It’s kind of a take on chicken pot pie. I think the taste is similar, but you use noodles instead of dough. The next time I make it, I’m going to use either different noodles or more broth. You’ll see why. 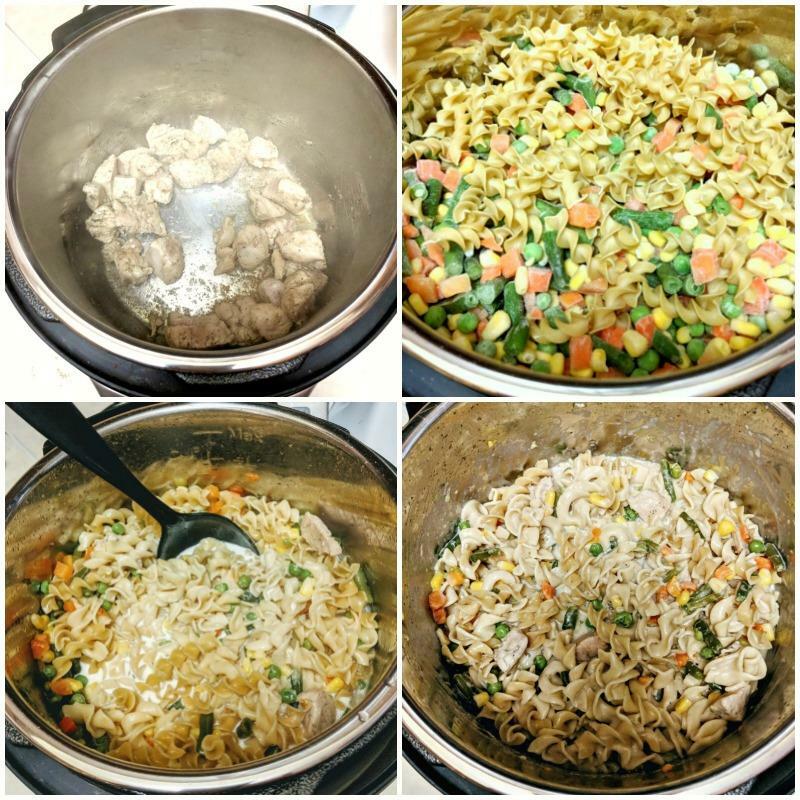 Here’s a collage showing you the sequence of cooking this creamy chicken and noodles pressure cooker recipe. You can see that you’ve got to saute the chicken before you add the other ingredients. I really like this about pressure cookers. When you use a slow cooker, if something needs to be precooked (say browned ground beef), you’ll have to get another pan dirty. With a pressure cooker, you just set the button to saute and brown away. Then I added the broth and spices it calls for, and the noodles and frozen vegetables went on top of that. I stirred it as much as I could, but as you can see in the bottom pictures, the noodles didn’t cook evenly. Like I said, it is a learning process. Maybe my noodles were too wide. Maybe I should have put the broth in after the noodles and vegetables, but I still don’t think that would have made a difference. 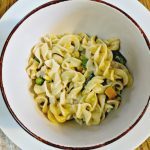 I’m planning on trying this creamy chicken and noodles pressure cooker recipe again with a smaller noodle. I don’t know about adding more broth because I’m afraid it would be too runny. The noodles were cooked. They just weren’t all the same. If you're looking for a new pressure cooker recipe, you need to try this creamy chicken and noodles! It's super easy, and I'm sharing some tips to help you succeed where I had a bit of a fail. 1 lb. noodles I recommend a small noodle. 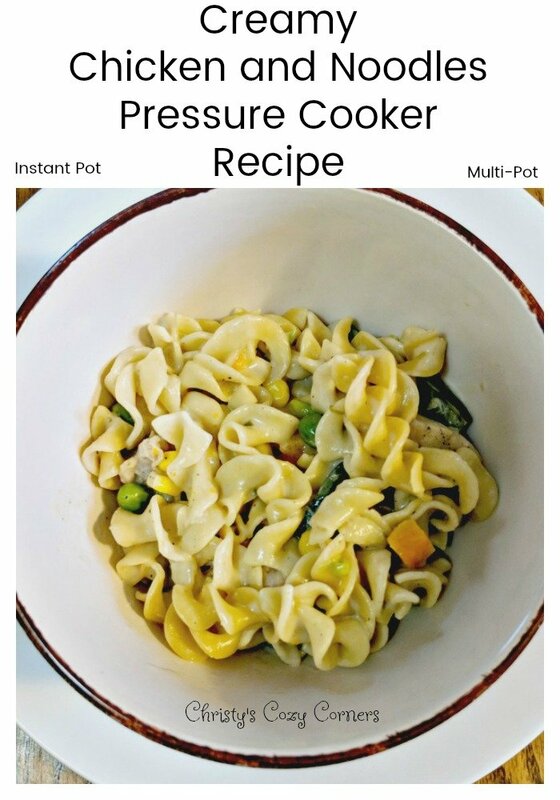 Though the recipe says 17 minutes, you'll need additional time for your pressure cooker to preheat. This sounds goooood!! I cant wait to try it!!! !